FamilyWebTV was a fun time but my kids are grown and they have no interest in making videos any longer. 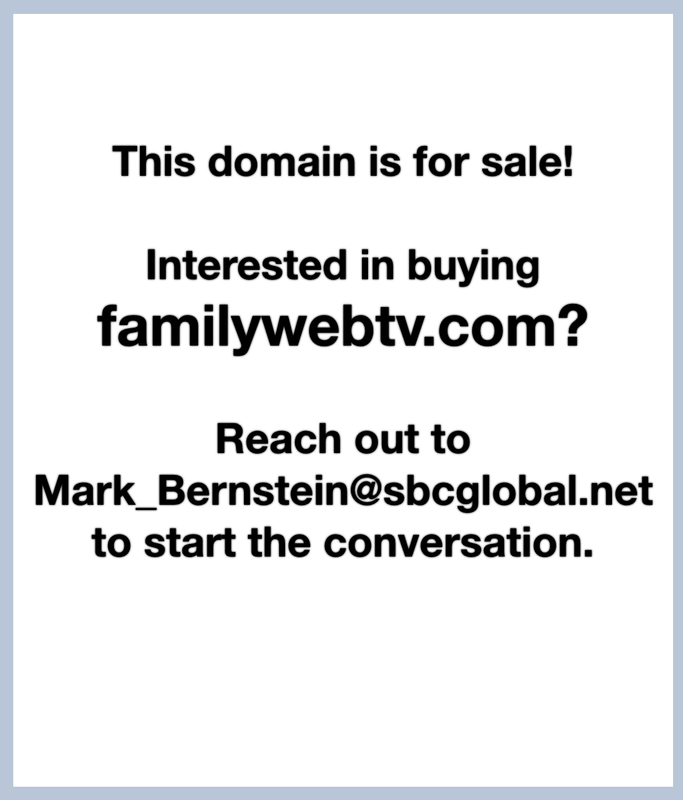 With that said, I'm no longer posting here so the familywebtv.com domain is going unused. If you wish to own the domain, reach out via email and we can get the conversation started. Otherwise, this domain will house these videos for all eternity. Drop an email to mark_bernstein@sbcglobal.net and I'll get right back to you.